Fruits and vegetables come in all shapes and sizes, but only those that meet strict cosmetic requirements end up in grocery stores. As for the crooked carrot, oddly shaped orange and double-capped mushroom, they will most likely go to waste. 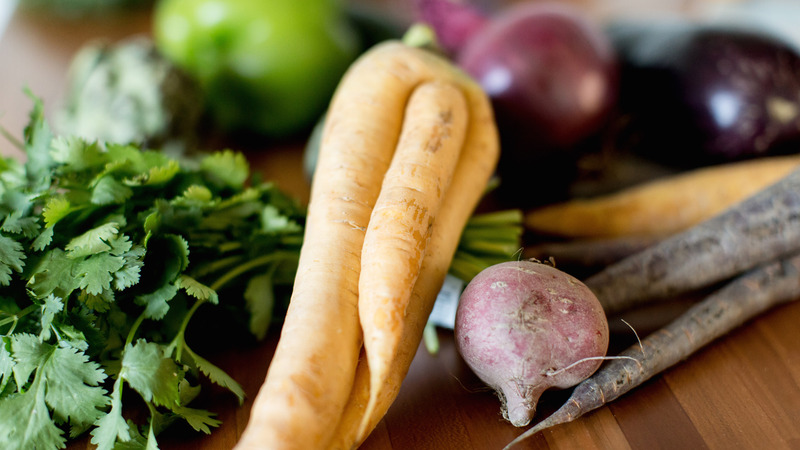 Imperfect, a new produce delivery service coming to Chicago, hopes to change that. He expanded his efforts while attending the University of Maryland, where he saw food being wasted in campus dining halls. Around the same time, he was researching food waste in class and discovered that 40 percent of food goes to waste. “We saw that locally in the campus cafeteria,” he said. Compelled to do something, he approached dining services about donating the food rather than throwing it out. His initiative led to the founding of the Food Recovery Network, a nonprofit that works to eliminate food waste on college campuses. Imperfect buys from farmers “ugly” fruits and vegetables that don’t meet grocery stores’ cosmetic standards and delivers them to customers’ homes at prices 30 to 50 percent below grocery store rates. “We’re sourcing food from farms that in most cases otherwise go to waste because they are cosmetically challenged and that can range from something you barely notice – for example, a little bit of scarring or slight discoloration – to a bell pepper that’s misshapen in such a small way that it will not stand on its own,” Simon said. Starting in December, Chicago-area residents can get a taste of “ugly” produce as Imperfect opens in Northlake. This will be company’s first location outside of the West Coast. “Chicago is naturally the food center of the country. It has such a deep food culture,” said Strub, who grew up in suburban Lisle. Customers can choose from four different box types that range in size from small to extra-large: organic, mixed fruits and vegetables, all fruit and all vegetables. The most popular among customers is the medium-sized mixed fruits and vegetables box (which costs $22-$24 for 11-13 pounds of food), according to Simon. Imperfect will initially launch in the downtown area, but can deliver as far north as Lake Forest, as far west as parts of Naperville and as far south as Hyde Park. All deliveries are made by Imperfect employees. While customers are assigned a delivery day based on where they live, they can choose from three different delivery windows: 3-8 p.m., 6-10 p.m. and 3-10 p.m. Through Imperfect, Simon hopes to raise awareness about food waste and its impact. Americans spend more than $200 billion growing, transporting and processing more than 60 million tons of food that ends up going to waste, according to the National Resources Defense Council. Nov. 9: A tech billionaire with a famous name talks about bringing his “real food” movement to the Windy City. Oct. 2: Chicago could become the first U.S. city outside of California to adopt a policy requiring it to purchase food from sources that meet a set of health, environmental and fair labor standards.